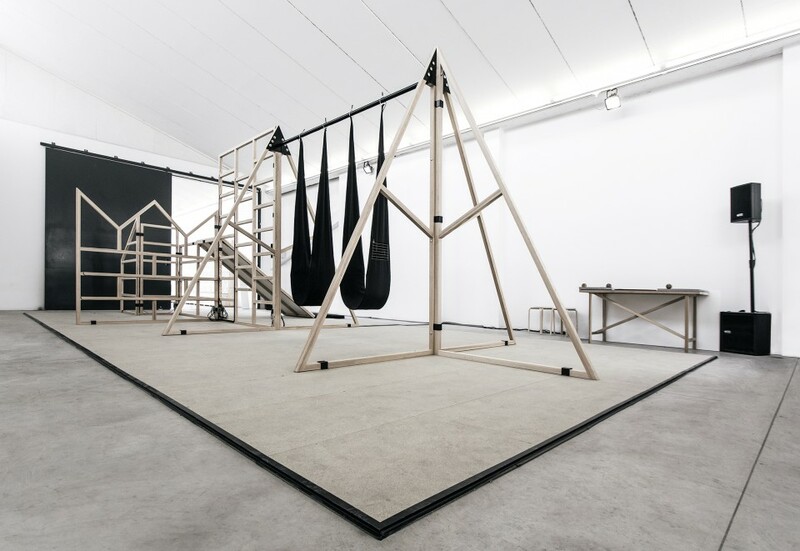 Climb a ladder, swing on a hammock-like seat and run your hands along various wooden surfaces on this strange polyphonic playground, and your movements will create a unique song. 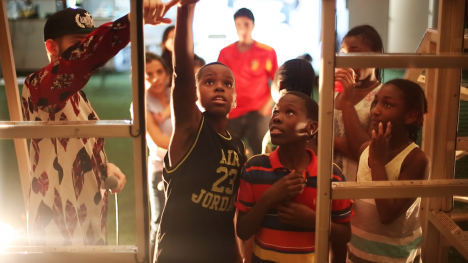 Studio PSK teamed up with beatboxer Reeps One to create this multi-sensory play experience for this year’s London Design Festival, encouraging people to interact with an unusual physical fusion of music, design and technology. 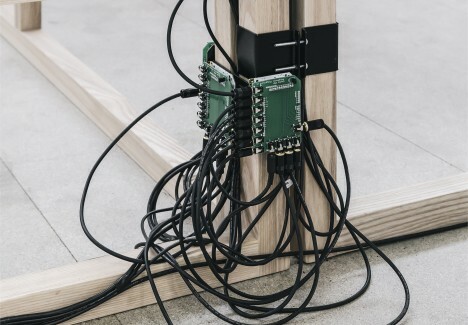 Designer Patrick Stevenson-Keating d Reeps record a bunch of different sound banks of samples, which were then loaded onto the program Ableton Live and mapped to trigger points on the playground. A product called ‘Electric Paint,’ which sends signals to the computer, is screen-printed onto paper tiles and covered in protective acrylic, acting as giant keys on a keyboard. 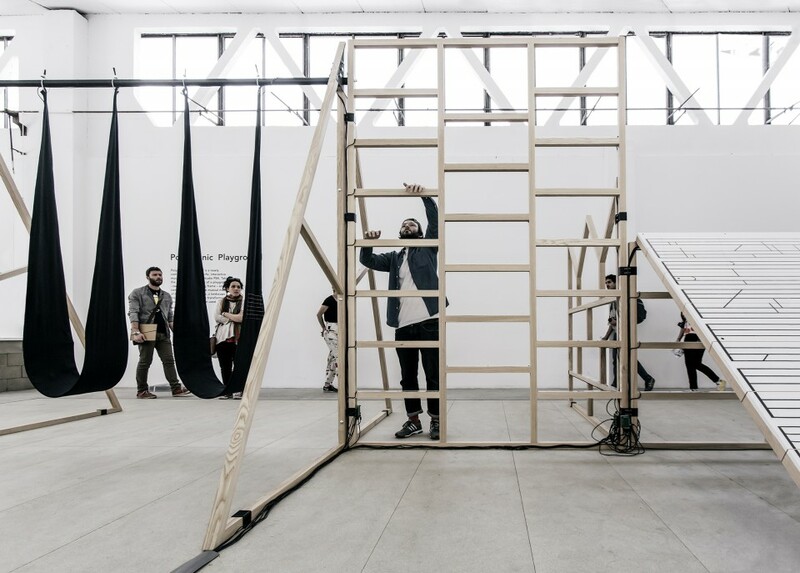 The wooden playground frame is like one big musical instrument in this sense, setting off cascades of sound as participants clamber up the steps or take a trip down the slide. 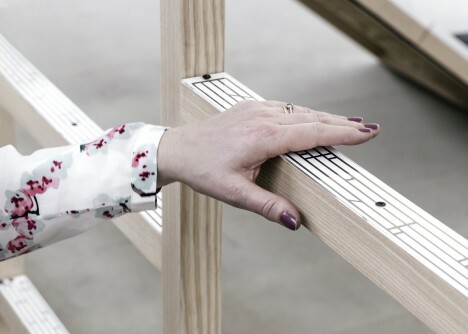 In addition to the conductive paint on the wooden elements, the team integrated copper tape into the slide and conductive thread in the swings.